In Seine-Saint-Denis, the residential sector is the most energy-intensive sector after transport. To meet its objectives to halve energy consumption and to cut its greenhouse gas emissions by a factor of four by 2050, the region is implementing a massive thermal renovation project for existing buildings. To make this happen, the Pass’Réno Habitat 93 initiative will offer support services to professionals and residents. For residents, Pass’Réno Habitat 93 guarantees a single contact throughout the whole energy renovation process. 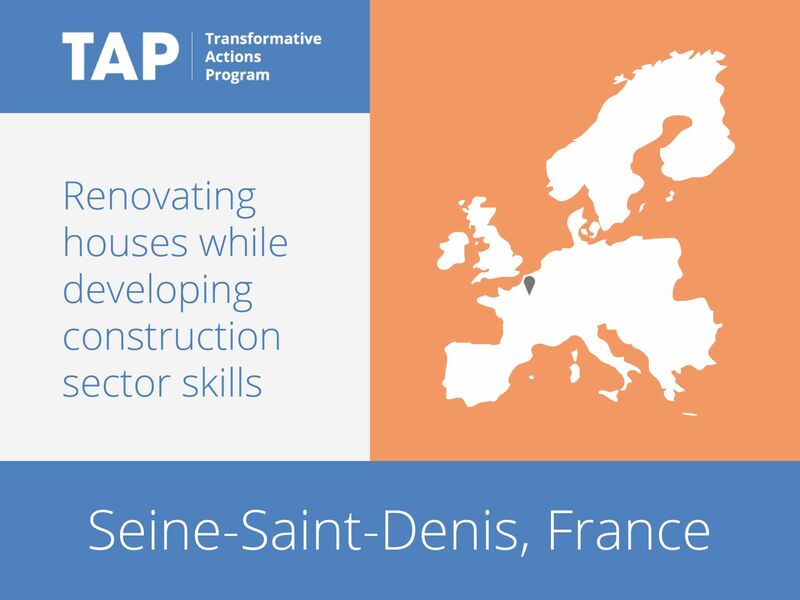 For professionals, Pass’Réno Habitat 93 offers new development opportunities and the strengthening of the training system.